We were on the road, back in June, promoting our new book TWO BROTHERS here in Brazil, when we received an email from our friend Gustavo Duarte inviting us to collaborate with him on a page of an upcoming issue of his Bizarro series. It is the first time either Bá or I have drawn on a super-hero book from DC or Marvel. This issue comes out today. Pulitzer Prize-winning author Michael Chabon read an advance copy of TWO BROTHERS (out in October). 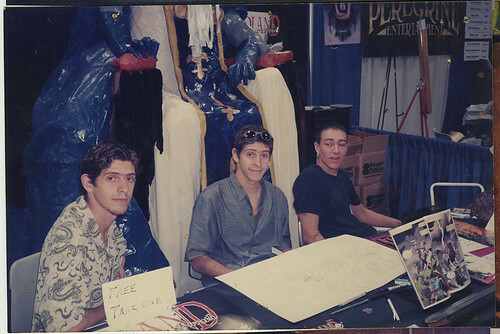 The first time we went to San Diego Comic Con was in 1997 and it literally changed our lives. 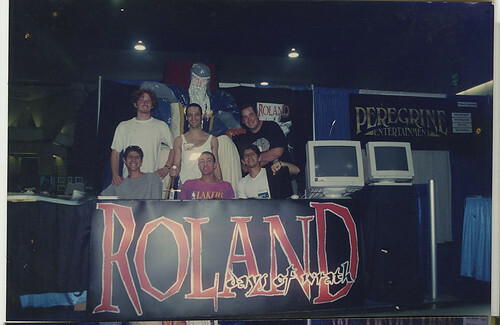 Only two years after that, in 1999, we threw all our chips on self-publishing a mini-series, full color, and having a big booth at the convention, all the mistakes young excited creators can make. We had two issues out of four ready at the show, our booth had this big backlit sign in front of the table, we had free posters, we raffled a real sword and we had this huge papier-mâché statue of Charlemagne. I had brought the last two pages of the series to finish during the show, a double spread on issue 4. We did everything we could to leave a big impression. standing: Chico Bela, Peov and Johnny B.; sitting: me, Shane Amaya and Fábio. We've been to San Diego many times after that, but this is one of the fondest memories we have of the show. 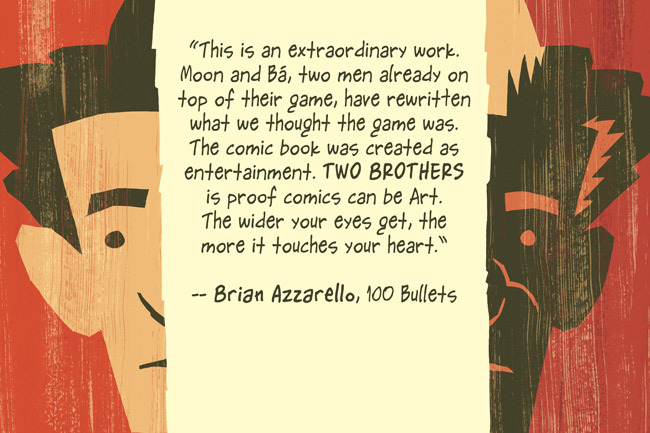 100 Bullets creator Brian Azzarello read an advance copy of TWO BROTHERS. 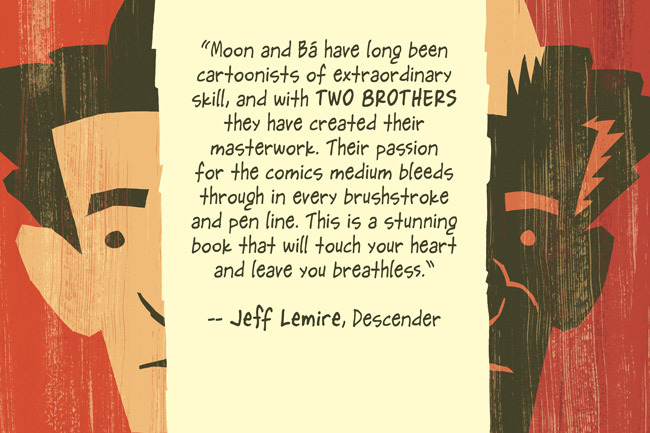 Jeff Lemire, author of Sweeth Tooth and Descender, among many others, read an advance copy of TWO BROTHERS. 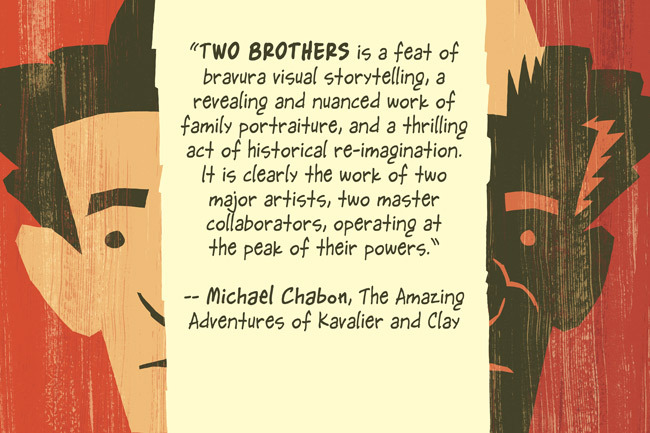 TWO BROTHERS comes out in October, published by Dark Horse. Brian Bendis , author of Powers and Ultimate Spiderman, among many others, read an advance copy of TWO BROTHERS. There’s a new trade softcover edition of PIXU coming to comic stores and bookstores on September 9th. If you missed this Moon/Bá/Cloonan/Lolos collaboration, now is your chance. It comes with a brand new cover! This gripping tale of urban horror follows the lives of five lonely tenants—strangers—whose lives become intertwined when they discover a dark mark scrawled on the walls of their building. The horror sprouts quite innocently from a small seed and finds life as something otherworldly. As the walls come alive, everyone is defenseless against a brewing evil.